I finally had lunch at Sissy's Cafe in uptown the week before Christmas amid a busy day filled with holiday errands. 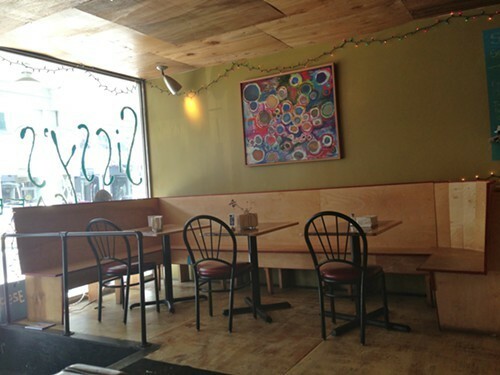 Sissy's Cafe is a bright and cozy cafe on Wall Street in uptown Kingston that has a very friendly atmosphere. Daily specials are on the blackboard. I had the last bowl of Calcutta Carrot soup, which was thick and hearty. 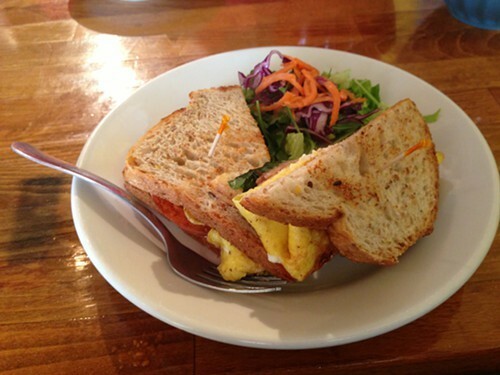 My husband had the turkey bacon, sun-dried tomato, pesto, and gouda sandwich. It was all fresh and delicious. There is also juice and smoothie bar behind the counter, but I was full from lunch so I didn't have a desire for more. One of my New Year's Resolutions is to eat more vegetables so I'll definitely come back to Sissy's Cafe to try out a juice. On Thursdays, Fridays, and Saturdays they are open for dinner as well. Vanessa Geneva Ahern writes about her adventures in the Hudson Valley at HudsonValleyGoodStuff.com, a blog she started 5 years ago.